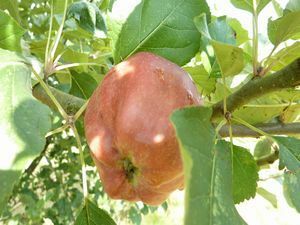 Bloody Ploughman - Apple Tree £12.75 - Dessert Apples - Mid Season Apple Trees and Fruit Trees For Sale. Buy at competitive prices with wholesale discounts. The fruit of Bloody Ploughman are sweet, crisp and juicy. 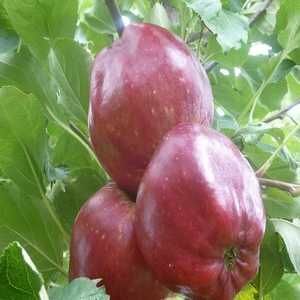 It is a vigorous variety producing large, red shiny apples with blushing pink flesh. The name Bloody Ploughman can be attributed to Scottish folklore and the variety was thought to have developed around 1800.